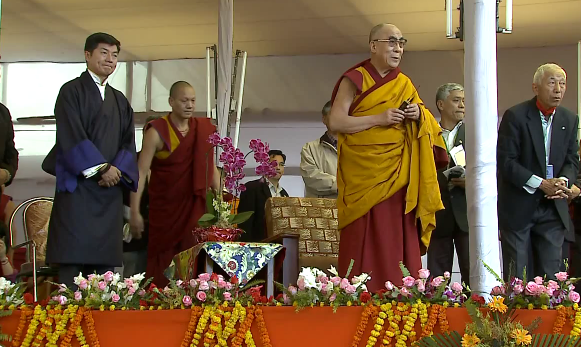 Yesterday His Holiness the 14th Dalai Lama gave a talk directed towards Tibetans from Tibet. He covers a rage of topic from advice to Tibetans from inside about the importance of the environment along with the its significance to the Nomad way of life (check here for the Nomad Rights campaign). HH also explains the reasons that led to his retirement and introduces Kalon Tripa Lobsang Sangay. He asks Tibetans from inside to not give up hope that those of us outside drive our passion from those inside. There are no English subtitles but this may be a good video to watch with your parents.